Buying a home is a complex process and in order to ensure your future investment is a secure and legal, hiring a real estate attorney to handle the purchase of your home should be considered. 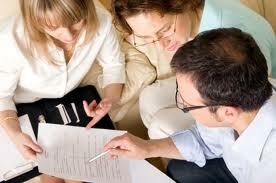 Many times a home buyer may seek counsel from a title agency or realtor. 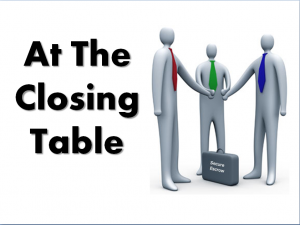 In fact, Florida does not require you to hire an attorney for a title closing like many states. While that may be the case in Florida, those using a real estate or title agent alone need to be aware of the risks involved. A title company or realtor may not advise you legally regarding any matters related to your home purchase. The process of purchasing a home is complex and a company that you hire should be able to provide you with legal direction and abide by state ethical standards; these qualities cannot be upheld simply by a real estate agent. Title insurance is a rarely understood protection necessary when purchasing a new home or property. Contrary to other forms of insurance that protect against future loss or damage, Title Insurance protects against past events that may cause loss or damage after the purchase of new property due to a failure or defect of the title. For instance, when purchasing Title Insurance, the title company will conduct a search of public land records to discover potential matters affecting the title of the property. Common issues include: improperly prepared deeds, open mortgages, wills, probate proceedings, outstanding judgments or tax liens against the property or individuals, covenants and restrictions, and easements. After the records search, the buyer is then issued the Title Insurance. While the records search conducted by the title company is generally exhaustive, many problems can still exist and affect the validity of the title. Disputes can still arise due to mistakes in the public record, previously undisclosed heirs claiming to own the property, and fraud…. These hidden hazards do exist, and Title Insurance will protect you against these potential problems and pay for any legal fees involved in defending a claim. Real estate lawyers are obligated by law to fully disclose legal options for the home buyer, unlike realtors or title companies that are prohibited from giving legal advice without a license to practice law. The comfort of knowing your best legal options when purchasing a home may be a big factor for overall security and peace of mind. An experienced real estate attorney can provide professional legal advice, and interpret the very complicated language involved in most Closing documents. The attorney is also capable of identifying potential problems with your purchase documentation, and can save you the hassle of dealing with unexpected complications that may arise during the Real Estate purchase process. It is important to not only seek a title company for protection when purchasing a new home, but also making sure that the title company has an experienced and competent real estate attorney. A real estate lawyer that handles and serves clients in title services is able to take legal action as needed to protect clients from any future problems that may arise. An attorney can properly analyze your housing situation to handle any issues, insuring you and your loved ones a secure real estate closing for your new home. These steps are important in the completion of any Real Estate transaction, and many times it is important for the buyer to seek legal counsel prior to moving forward with the purchase process. At Blick Law Firm we provide title insurance and escrow services to clients throughout the entire State of Florida. Call us today at 813-931-0840. 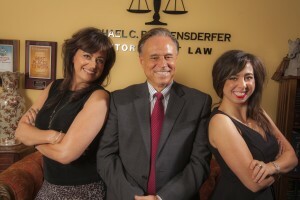 Make an appointment for a free 15 minute consultation with attorney Michael Blickensderfer. Blick Law Firm seeks to help the hurting and those in need. Think quick, call Blick! Auto accidents can be devastating, and injuries sustained in an accident can begin a timeline of treatment and therapy that can take months to complete. 1. Revealing Information via Social Media: Today’s generation is technologically savvy, a fact which defense attorneys or insurance companies use to their advantage. People can update their status, tweet, write a blog post, or check into places in real time, making themselves more susceptible to public scrutiny. In an auto accident case, Internet research is conducted to help prove that you may not be as injured as you claim. It is important to understand that what you post or tweet can potentially help the opposing insurance company and hurt your case. Be cautious when posting photos or comments that might discredit your claim. For instance, think twice before posting a status about going to the gym when you claimed to have severe back pain from a recent accident. 2. Lack of Witness Information: Any type of auto accident can cause stress and impair your normal thought process. It is important to stay as calm as possible and gather proper information that will help your case later on. One of the key ways to help your claim if you are not at fault is to identify witnesses. It is important to corroborate your case with eyewitnesses because it will minimize debate from insurance companies. Do not assume the investigating office will collect this information. Take matters into your own hands if possible and ask for witnesses’ contact information promptly after the accident. 3. Giving a Recorded Statement to the Opposing Insurance Company: This is a very common mistake. Usually when an auto accident occurs, the insurance companies are notified right away. Once insurance companies are notified, they move quickly to obtain a recorded statement about what happened and information about your current injury. Most people feel that they have to give a recorded statement to the opposing insurance company and answer their questions. THIS IS FALSE. There is no requirement that you give a recorded statement. Often, the other insurance company is looking to take advantage of your mental state and lack of knowledge about the matter at hand. Therefore, do not ever give a recorded statement without first consulting your attorney. 4. Take Opposing Auto Insurance Companies Lightly: If you are not at fault, the opposing driver’s insurance company will conduct an investigation during your case. This may include surveillance, photos of damages or video footage of you at some point during the process. Honesty is the best policy. If you attempt certain activities that might seem questionable, admit them. We understand that over the period of the claim process, you will be treated for injuries and your physical health will improve. However, when an auto accident victim denies something that an insurance investigation later reveals to be true, it will hurt your claim. 5. Waiting too Long to Get Medical Treatment: Most people involved in an accident assume the pain or injury will go away in time. Unfortunately, that is always not the case and complaints may progressively worsen. Insurance companies monitor the gap between treatments. If you wait even a few days to start treatment, they assume you may not be as injured as you claim. Prompt medical attention is necessary in evaluating your claim and if injuries are severe, report to the hospital. Once you visit a personal injury attorney, request appropriate medical care. Any complaints and symptoms should be well documented and recorded. Personal injury claims all vary in severity, and often times they involve lifelong consequences that require extensive future medical expenses and years of pain and suffering. If you or a loved one has been injured due to the actions or negligence of another, call Blick Law Firm today at (813) 931-0840. Weather conditions in Florida frequently cause safety concerns on the roadways, and it is important to be aware of potential dangers and take safety precautions to avoid them. Inclement weather causes tricky road conditions like standing water or flooding. These road conditions often times conceal dangerous debris, tree branches, and even power lines that are not visible. Many drivers attempt to drive through flooded areas and risk encountering hazards to save time or to avoid an inconvenient detour; drivers should always consider the safety risks and take necessary precautions by avoiding flooded areas. Many times, weather conditions cause traffic lights to become inoperative, creating confusion on the roadways that can lead to deadly collisions. When encountering a downed traffic light, every driver approaching the intersection should come to a complete stop and yield the right-of-way to any vehicle which has entered the intersection. Be cautious, and consider that the roads are wet and cars are more prone to skidding and loss of control. In the event Hurricane conditions cause the need to evacuate, have a plan ready, know where you will go, and research several alternate routes in the event of closed roads and severe traffic congestion. If you or a loved one has been injured as a result of dangerous roadway conditions, call Blick Law Firm today at (813) 931-0840 to schedule a free 15 minute consultation with attorney Michael Blickensderfer. Lock the interest rate of the mortgage. If you or a loved one are considering purchasing a home and need advice on what to expect, call Blick Law Firm today at (813) 931-0840. Schedule a free 15-minute consultation with attorney Michael Blickensderfer. Think quick, call Blick! In Florida, it is a criminal traffic offense if a driver operates a motor vehicle with knowledge that their driver’s license is cancelled, suspended, or revoked. Receiving a citation for Driving with a Suspended License requires a court appearance. The waters of Florida are both a national and international resource alike, and recreational boating on these waters contributes to the well-being of both residents and visitors. As a result, boating laws are in place to protect the safety, aesthetics, and future of Florida’s waterways. Florida law enforcement officers and Florida Wildlife officials patrol the waterways daily to ensure safety and compliance with boating laws. It is important while boating to be aware of the laws regulating waterway use, and be informed of what your responsibilities are. By law, all watercraft operators are responsible for operating their vessel in a reasonable and prudent manner with regard for other vessel traffic, posted restrictions, the presence of a divers-down flag, and other circumstances so as not to endanger people or property. Non-compliance with the safety rules of the waterways can result in both non-criminal and criminal violations. In Florida, laws against boating while impaired by alcohol or other drugs are as strict as those for driving a vehicle while impaired. Florida law prohibits anyone from boating under the influence (BUI). That is, it is illegal to operate any vessel or to manipulate any water skis, sailboard, or similar device while intoxicated due to alcohol or any combination of alcohol, a controlled substance, or drugs. If you have been stopped while boating and need legal advice, call Blick Law Firm today. Schedule a free 15-minute appointment with attorney Michael Blickensderfer. Think quick, call Blick.